Bible Study, it is that time in the house when everyone goes and spends time alone with God. Everyone has their own way to do this, but the younger kids have an issue with the actual reading and understanding. 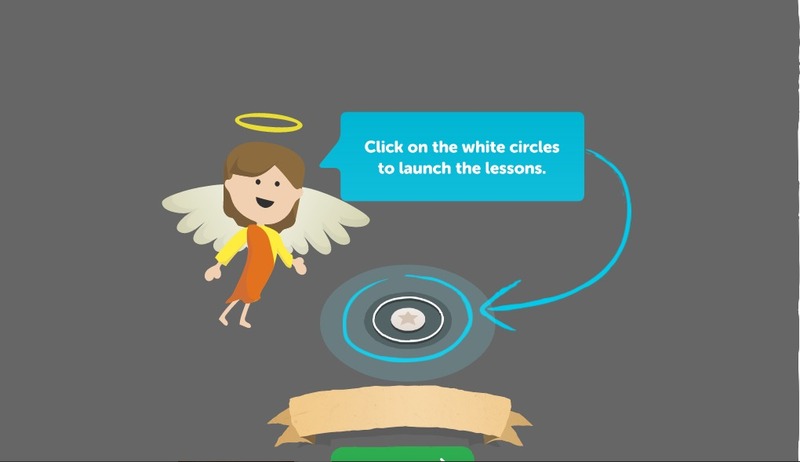 How do you make the Bible easy for the little ones to understand? Make it a game! 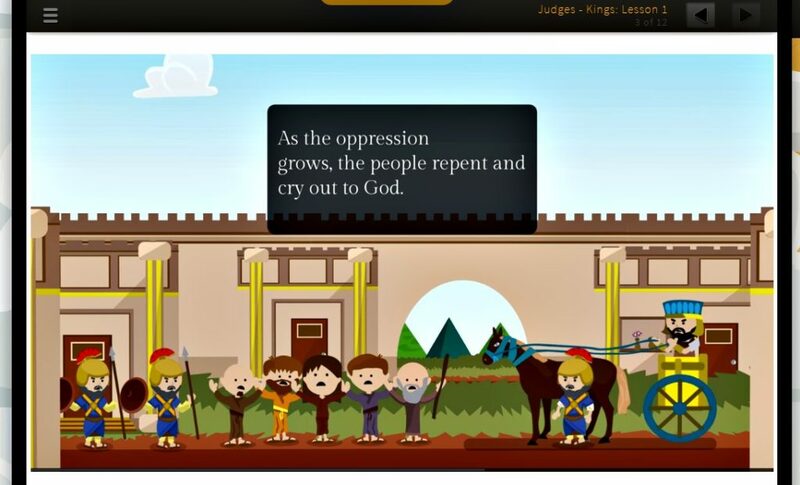 VeritasBible.com from Veritas Press is just that, a fun game for the kids to learn the Bible. 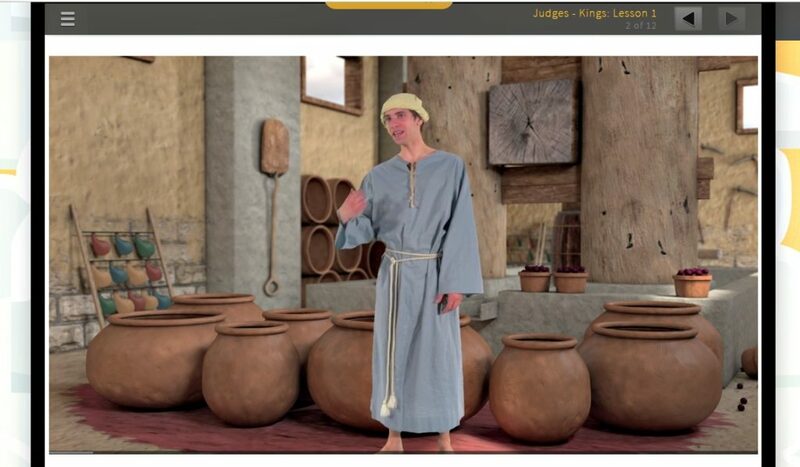 VeritasBible.com is an online program that allows your child to work at their own pace in a game style Bible Study. There is no prep work for mom or dad, just let your child sit down and "play" the games. There are "lessons", and I say it like that because there is no real read this, it is set up in a video format. There are currently three sections to choose from, Genesis to Joshua, The Gospels, Judges to Kings. There are 128 lessons, 4 for each event and 32 flashcards. The program works on Windows, Mac, Android Tablets and iPad. It is web based, so no apps are needed. VertiasBible.com follows the New King James Version of the Bible. Your child will pick which section they start with. They are given simple instructions to "play" that level. They have to earn stars to move forward, just like the popular games on the iPad or phone. After the fun lesson, the kids have review questions. 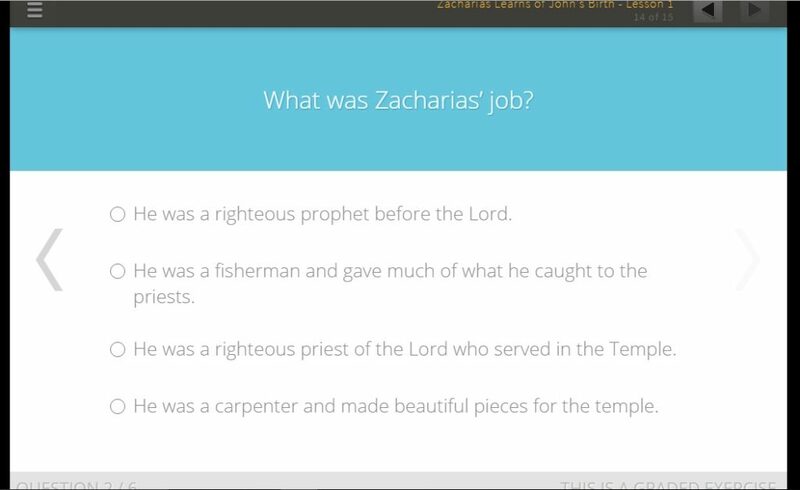 These questions make sure they were paying attention to the lesson, yet the answers can be found if you open your Bible and look for them as well. Each lesson takes about 20-40 minutes from beginning to end. This isn't that long at all and has been able to keep everyone's attention. In fact, I have seen Ray Ray do 2 or 3 at one time. I loved this program. I would tell each child when it was time for Bible, they would run for a computer. They would spend time watching the lesson, studying the lesson and answering the questions. While the boys had no issues, Little Miss had me help her with the questions. All three big kids used this, but Ray Ray was the one who loved it the most. He would get lost in the game and have to be told to stop. Since he loved this as much as he did, I felt bad telling him to stop. After the kids would do their lesson, I would ask questions about the lesson. These would be simple, but just enough for me to know that they did the lesson. This was my way of keeping track other than logging in as each child and seeing the amount of stars (1-3) that they received for each lesson. Since I was not grading this, the questions I asked were enough for me to know that each lesson was done. I would also ask for the child to redo a lesson if I noticed 1 star versus 2 or 3. Ray Ray, the game lover of the family, loves this program. At 7, technically 8 as he calls it, this program is a perfect fit for him. He is able to read what needs to be read, yet still loves the game like features of the program. This is a program the type of program where he is asking for more, not complaining about having to do it. This is something that we will continue to use and we look forward to the new units that are coming soon! 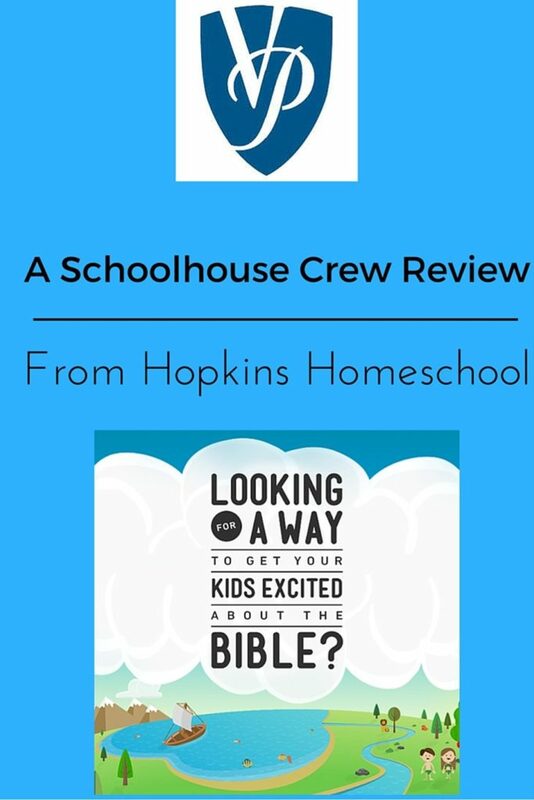 Check out what the other review families thought of this and other Bible items from Veritas Press with me. Show some social media love to Veritas Press!